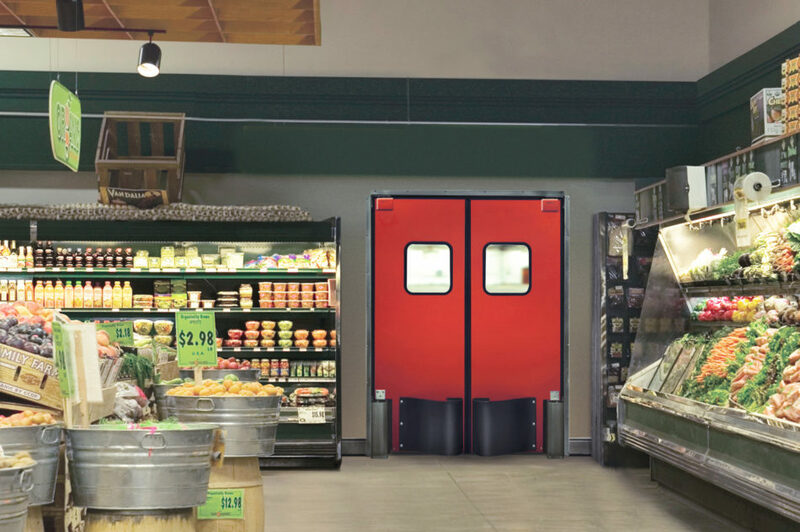 These attractive and durable impact traffic doors are designed for use in a wide variety of applications, including grocery, retail, commercial and light industrial. 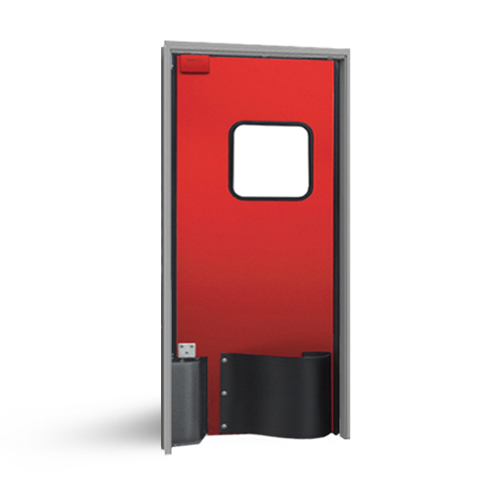 The 1-½” thick door panels are constructed with a structural PVC internal framework, clad with impact resistant ABS face sheets and foamed in place with CFC-Free urethane foam for excellent insulation value. The scratch-resistant acrylic vision panels are 14” x 16” set in black rubber molding. 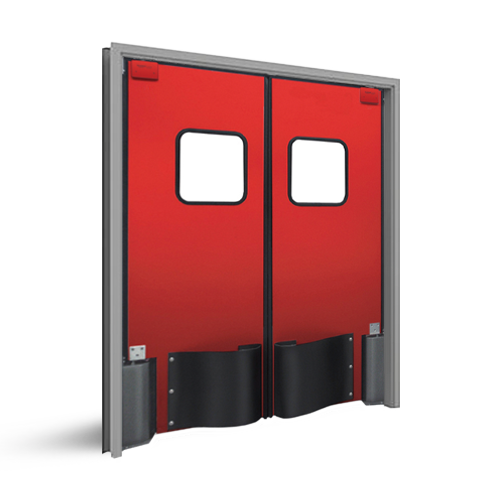 These attractive, durable door panels are textured on both sides and operate on the Easy Swing Hinge System pioneered by Eliason more than thirty years ago, and still the smoothest-operating and most reliable hinge system on the market today. 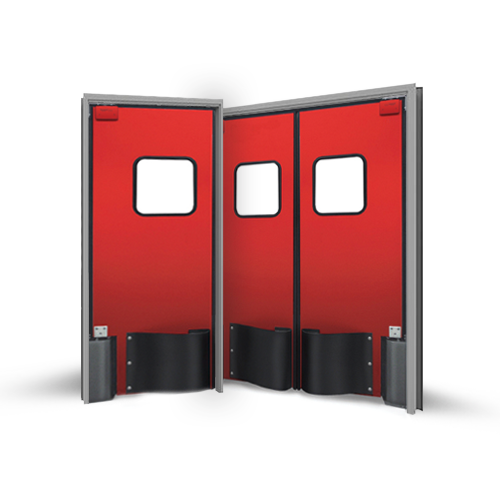 The HCG-10 has full perimeter gasketing for cooler applications.